1 in 5 suffers. Silence ends here. 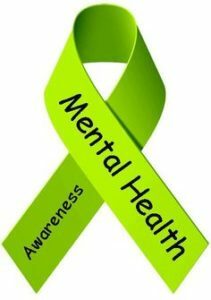 Voice of Mental Health is a mental health social media and news outlet for people with mental health conditions, their supporters, and mental health professionals. The goal is to serve as an outlet for opinions, best practices, and unmatchable encouragement. By each of us sharing with one another about our daily lives we can achieve a higher level of recovery. Through the growth of this site, by each one of us, we can defeat the stigma associated with our illness. Go register at VMH Connects to start your recovery now, and then share this site with someone you love. VMH Connects (our social media for mental health) is a meeting place that enables people with mental health conditions, their supporters, and mental health professionals to share their experiences & encourage one another in a safe forum. This is an outlet to share on active world topics so the mental health community can have a voice too. WRITE FOR US TODAY! Are you struggling to understand a loved one who suffers from mental illness? Would you like to gain an insiders perspective into the lives of those who cope with disorders such as depression, bipolar, anxiety, schizoaffective, OCD, or schizophrenia? Are you an advocate looking to break stigma? IF YOU’VE ANSWERED, “YES”, TO ANY OF THESE QUESTIONS – WE ENCOURAGE YOU TO BECOME A MEMBER TODAY ! It’s FREE! Share this site with someone you love. VoiceofMentalHealth.com and it’s administrators do not monitor this site 24/7. If you have an emergency, call 911. This is such a great site! I love the news section. Keep it coming!! Voice of Mental Health is so long overdue , with just a week online, this website brings so many different individuals together as one. I recommend Voice of Mental Heath to everyone! This site is such an important way for people affected by mental illness to communicate. Much like group discussions in person, we can just talk here. My battle with major depression wouldn’t have led me down the road I took had I just reached out for help earlier in life. Like so many people I waited too long to ask for help, because I was afraid and didn’t understand. It took me almost dying to get the help I needed. Now I know that therapy and group discussions are excellent to help me cope with life. Please join in our discussion and share what brought you to this site. Great website to be part of. Informative!